My kids have a way with pickles. A way to demolish every jar that comes into my house. They are very picky, and they love the Claussen Refrigerator Pickles. As the primary grocery shopper in this house, I hate the price tag! 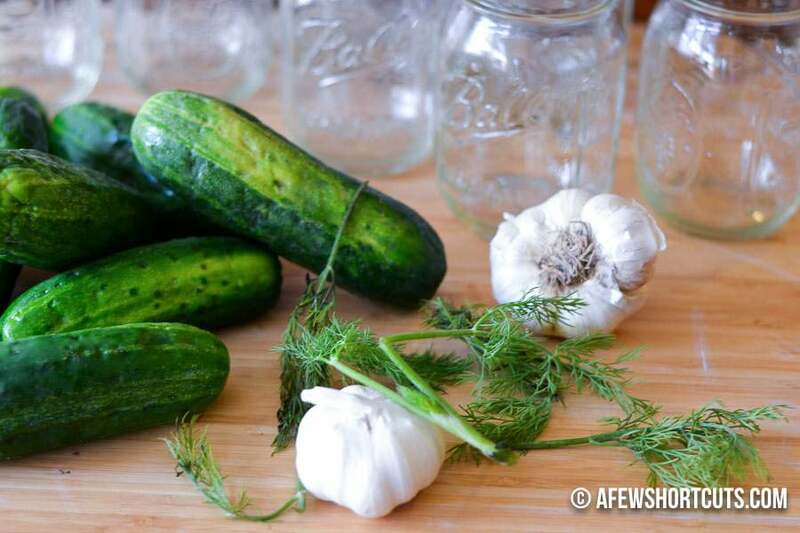 So why not make our own Homemade Garlic Dill Pickles? Gather some pint-sized mason jars (about 6). Put them and their lids through the dishwasher on the hottest setting, or boil them. Putting them through at the hottest setting is to kill any bacteria. You don’t want you pickles going bad before you can enjoy them. In a large pot bring salt, water, and vinegar to a boil. Cut up your cucumbers in 1/4 cut off the tops. 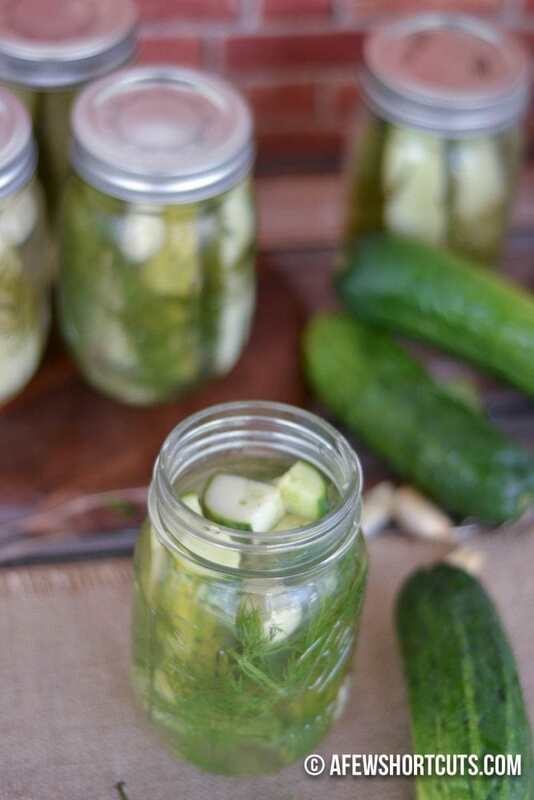 In each jar, place 2 cloves of garlic 2 sprigs of dill and 4-6 cut up cucumbers. I cut mine in spears just like Claussen’s. Seal the Mason Jar lids and push the top down. Store in the fridge for 7 days. The longer they are in the liquid, the better the taste gets. ENJOY! In a large pot bring salt, water and vinegar to a boil. Cut up your cucumbers in 1/4 cut off the tops. 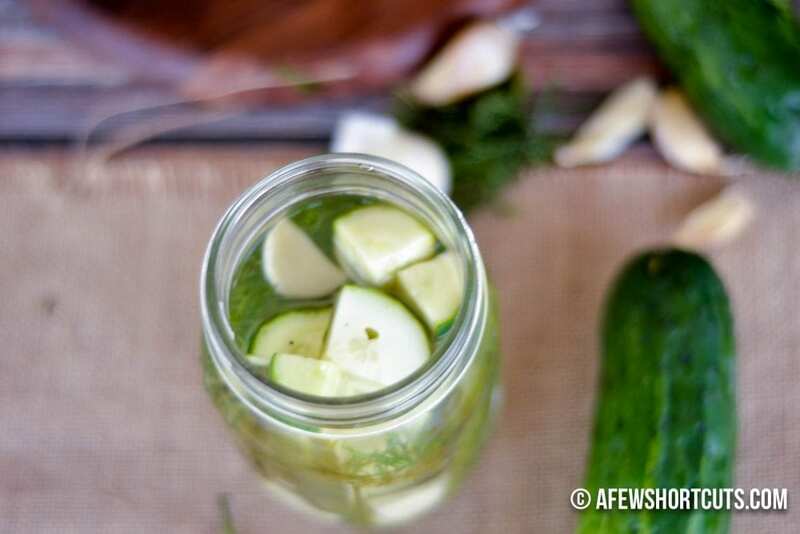 In the each jar place 2 cloves of garlic 2 sprigs of dill and 4-6 cut up cucumbers. Fill each Jar with the Brine just cover the cucumber. Seal the Mason Jar lids and push the top down. Store in the fridge for 7 days. The longer they are in the liquid the better the taste gets. ENJOY!